 Conway Medical Center Chaplains are available 24 hours a day to provide pastoral and emotional support to patients, families and staff. An on-call Chaplain can be reached by calling the pager 843-828-5081. CMC Chaplains provide pastoral support to patients and their loved ones in a patient and family centered approach to care, that is both interdisciplinary and collaborative. Clergy of all faith traditions are welcome to visit their parishioners during the course of their hospitalization. The Interfaith Memorial Chapel is open 24 hours a day and is located on the first floor, through the main lobby near of the hospital visitors entrance facing Singleton Ridge Rd. The chapel is designed to be a quiet space that encourages prayerful reflection and introspection. 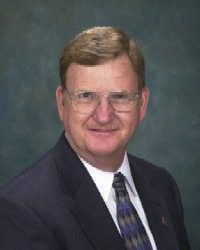 Pastoral Care Department is open Monday-Friday, 8 a.m.-4:30 p.m.
Chaplain John E. Renfro, DMin, BCCi, FHPC is the Director of Pastoral Services and Clinical Pastoral Education at Conway Medical Center. He is a Supervisory Diplomate of the College of Pastoral Supervision & Psychotherapy and is a board-certified clinical chaplain via the Association of Professional Chaplains. A Fellow in Hospice and Palliative Care, Chaplain Renfro also serves as Pastoral Clinician for the Transdisciplinary Palliative Care Team. Through years of service as an Ordained Bishop in the Church of God and a US Navy Chaplain, he discovered the joy of caring for people of all faith backgrounds. Patricia Douglass is the Staff Chaplain at Conway Medical Center and also serves as the coordinator of the Volunteer Chaplaincy and Bereavement Programs. 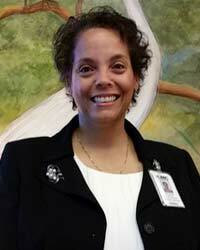 Chaplain Douglass received her religious education through the Religious Formation Conference in New York. Chaplain Douglass completed a clinical residency with the Association for Clinical Pastoral Education. She is a US Air Force veteran, a member of the National Association of Catholic Chaplains and the Sisters for Christian Community. At Conway Medical Center, one of the many ways we seek to provide support to our patients and their loved ones is by providing access to pastoral care. Chaplains are available to support patients and their loved ones as they face the difficult issues surrounding a new diagnosis or when dealing with the stress of hospitalization. Our care begins by recognizing the dignity and worth of each individual and a commitment to treat each of our patients and their loved ones with respect and compassion. We also value the individual faith traditions of our patients, so when requested, our staff will contact a patient’s pastor or representative of their faith community. Our patients come from diverse cultural backgrounds, hold their own family traditions and have their own unique ways of expressing what gives their life meaning. Our chaplains respect these differences and seek to provide the kind of pastoral support each patient needs on an individual basis. If you would like to have a pastoral visit or speak with a chaplain, you may call the Pastoral Services Department at 843-347-8155 or the Staff Chaplain pager at 843-828-5092. Conway Medical Center is home of South Carolina’s only hospital-based College of Pastoral Supervision and Psychotherapy (CPSP) Training Center. Learn more about this program through the following link: CMC’s CPE Program. The College of Pastoral Supervision and Psychotherapy (CPSP) is an international, theologically-based covenant community, offering accreditation and certification to individuals and programs that meet standards of expertise in pastoral counseling, pastoral supervision and psychotherapy.